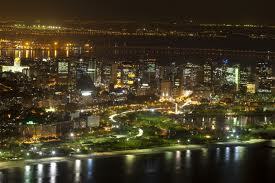 Year 2013 is coming to an end and before we welcome 2014, let’s have the list of the top cities to visit next year. Make your bucket list now and start saving up a sum of your money for a wonderful city vacation. Rio is a place that will throw a lot of parties this coming year. 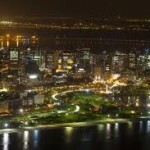 The city will host the 2014 World Cup and 2016 World Olympics. Known as the second largest city in Brazil, Rio de Janeiro is famous for its awesome beaches, breath-taking sceneries, and their yearly carnival will give you a heart-pounding experience. The Maze, museums, urban projects, favela tours and boutique hotels, are just few of the spots that will leave you wanting for more. Although you’ll find that prices are a bit higher than before, you’ll still find it very reasonable and affordable. Even if bankruptcy has brought the city down these past few months, Detroit in Michigan came back with vengeance with its wonderfully reborn city—full of buildings with elaborate details and ornaments, beautiful sculptures and fountains that will surely captivate its visitors. Every town has its own charms and its aim is to become the center of art and beauty. Since hundreds of spaces and buildings are abandoned, the city made a turning point and crafted dinner parties at night, giving colors and glow to the once an empty space. The low-cost rents on empty spaces also invited artists in the city to stimulate creative minds in a solace place. Awarded as City of Culture in 1990, City of Architecture and Design in 1999 and the Capital of Sport in 2003, Scotland’s Glasgow attracts not only the artists, historians, culture and adventure lover, but also the sporty types. Now that 2014 is coming, one event to look forward to is the “Homecoming Scotland”. It is believed to be more exciting as it will include several events such as theatre performances, open concerts, and sports. Don’t miss the Kelvin grove Art Gallery and Museum and also dining on the variety of food-havens. There’s nothing more interesting than the Japanese culture and while they have preserved well their traditional culture and style, they progressively advanced in their modern living. The city is always full of bursting lights and amazing technology. Tokyo is the capital of Japan and the city will be hosting the Olympic Games this 2020. Although it’s been 2 years since the tsunami devastation and nuclear meltdown, Tokyo has recovered rapidly and every visitor that comes are truly welcomed. When you get there, never miss having a shopping trip and don’t ever go home without eating their specialty—sushi from their biggest fish market, Tsukiji. Japan is also known for animation so pay a visit to Ghibli Museum and also, immerse yourself with the joy of the cocktail parties at the Shinjuku street. 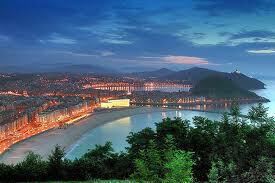 Spain is never out of the list when it comes to best cities to visit every year—even in 2014! 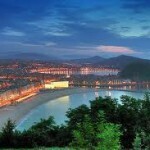 If you are a food-lover and you can’t get enough from it, San Sebastian is the best place for you. The 3-star restaurants are everywhere in the Basque seaport and you can choose from a variety of 1- star dining place anywhere in the city. Pintxos, which is a popular dish around the country, has different versions and you might want to try them before you leave for home. Kokotxas al pil-pil (traditional favorite Basque dish) is a must-try for everybody.